What is an Air Force Psychologist? An Air Force psychologist is a mental health professional that works with individuals associated with the United States Air Force. This professional will often be a part of an airman’s life before, during, and after his military career. One of the main duties of an air force psychologist is to evaluate potential airmen before they are allowed to enlist. This evaluation helps the psychologist determine whether or not a potential airman can handle the stresses of an Air Force career. Active airmen also benefit from the services of Air Force psychologists. In general, an air force psychologist will encounter many of the same mental health issues as a traditional psychologist. For instance, they may treat issues like depression and substance abuse. However, an Air Force psychologist will also usually deal with several mental health issues that plague airmen and members of the military in general. War is often a terrifying and traumatizing experience, for example. An Air Force psychologist will typically treat several cases of war related post-traumatic stress syndrome each year. An Air Force psychologist will also help airmen and their families adjust to military life, if necessary. For example, a psychologist may offer counseling to airmen that are dealing with the mental anguish that afflicts many service men and women during war. The mental health department of the Air Force also offers counseling for families of airmen that are being deployed. Many airmen still need psychological guidance even after they are no longer on active duty. Retired and inactive airmen can also benefit from the services of an Air Force psychologist. Post-traumatic stress, for instance, is one of the most common mental health problems that airmen face, due to the nature of their work. To help combat this mental illness, the Air Force instituted the Behavioral Health Optimization Program. Under this program, Air Force psychologists and other mental health professionals work in military primary care clinics. 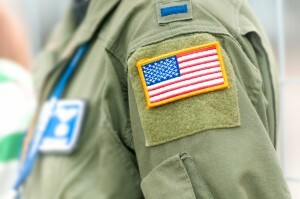 In doing so, these professionals are often able to catch and treat many of the mental illnesses that are more common in members of the military. To start an Air Force psychology career, you must first obtain a bachelor’s degree in psychology from a traditional university. The Air Force also requires anyone interested in this type of psychology career to have doctorate degrees in either counseling psychology or clinical psychology. Air Force Officer Training School is also usually required in order to become an Air Force psychologist. During that time, prospective Air Force psychologists will be schooled on military healthcare and the challenges they will face. They will also take several leadership training courses. Although they will usually work in an office setting, aspiring Air Force psychologists are also required to participate in physical conditioning. As an Air Force psychologist, your salary will usually depend on a few different factors, particularly your experience and your rank. It goes without saying that individuals with more experience and higher ranks will usually be on the higher end of the pay scale. The easiest way to find out how much a member of the military made is by looking at a military pay chart. For example, according to the chart on the Air Force website, the annual salary for an Air Force psychologist with two years of experience and a rank of Second Lieutenant made an annual salary of $33,941 in 2012. On the other hand, a colonel with ten years of Air Force psychology experience made an annual salary of $88,178. Air Force psychologists are also usually paid bonuses and given free housing and healthcare as well. According to the Bureau of Labor Statistics, the expected employment growth for psychology careers in general is 14% through 2018. Because the military is starting to place emphasis on the mental health of their service men and women, there will also most likely be more Air Force psychology careers open in the future. In general, psychologists with advanced degrees will face less competition for these jobs than psychologists without advanced degrees. What Is Depression And How Can We Help?